We try to prepare, but sometimes it’s not enough. We are grateful for any support we get. 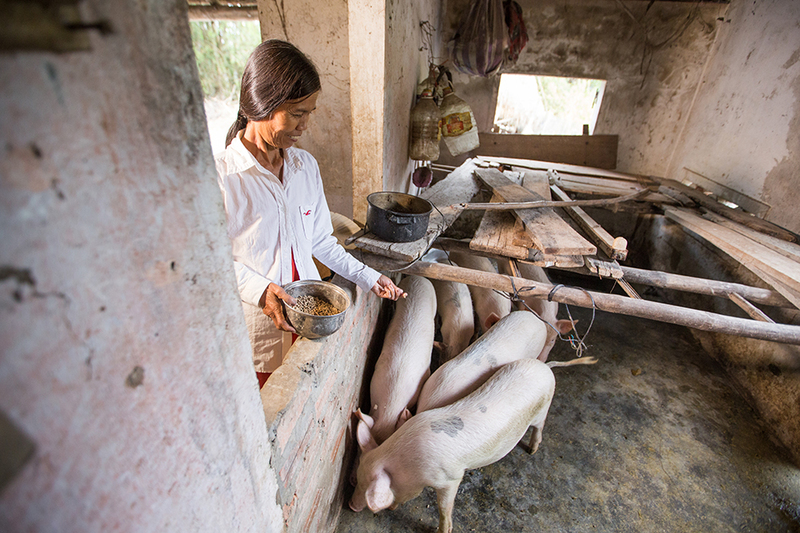 As mother of four, Nguyen Thi Con was thinking about how to keep her family safe as she watched the floodwaters and immediate threat from Typhoon Damrey recede. The storm battered her small village in coastal Quang Nam and 14 other provinces in central Vietnam with up to 80 mph winds and heavy rainfall on November 4, 2017. Con knew the risk of diseases and other health concerns that follow devastating storms. “I know it’s important to be clean and stay healthy, especially now,” she said as her village completed its storm recovery. The storm left 107 people dead and 395,000 in need of humanitarian assistance. 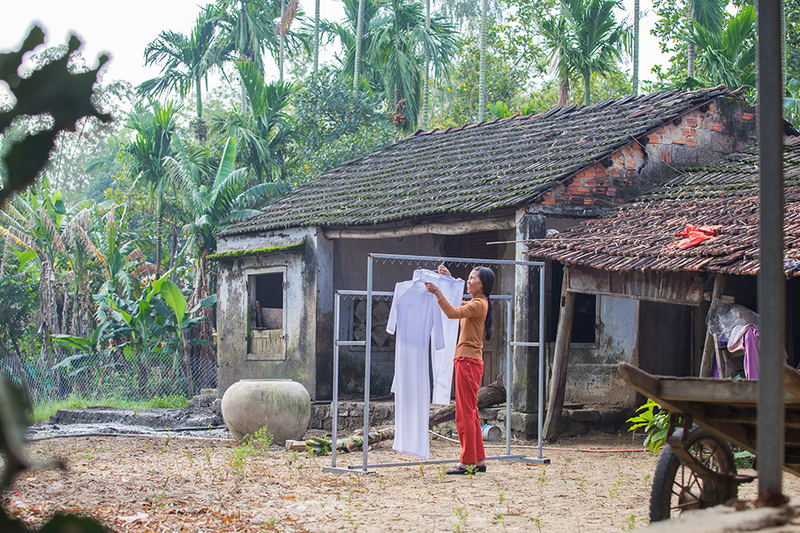 In response to the health needs of thousands of families like Con’s following Typhoon Damrey, Catholic Relief Services rapidly mobilized support for a 45-day emergency response project in Quang Nam, with support from the Start Fund, and in partnership with local authorities. Time is critical in preventing outbreaks of hygiene- and sanitation-related diseases and achieving effective results when natural disasters strike, so CRS developed the project within 24 hours, after a rapid needs assessment. The project districts were particularly badly hit, with half their residents suffering livelihood and income losses and many living in temporary shelters vulnerable to storm damage. A trusted development partner in Vietnam with a history of working in the province since 2005, CRS was well positioned to meet the needs of affected people immediately after the storm hit. Con’s family received one of 4,555 hygiene kits, which included soap, shampoo, dishwashing liquid, sanitary pads, toothbrushes and toothpaste, and towels. CRS played a key role in helping Con, her neighbors and many others within the province get back on their feet by distributing 300 shelter kits and making 2,740 cash transfers. In all, 7,767 families, or 25,277 people received assistance. 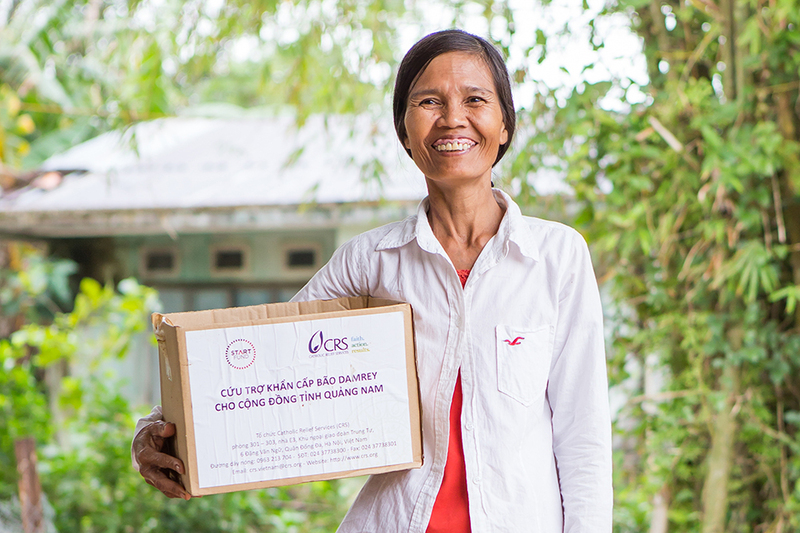 “CRS already has a sound working relationship with local partners in the region, which allowed us to implement the emergency response project in a highly effective manner to reach those most in need,” says CRS Vietnam project officer Nguyen Thi Bach Duong. Beneficiaries were selected in close collaboration with district and local committees. As local partners acknowledge the success of this short-term emergency response, CRS continues our long-term approach to support provinces in building their resilience to increasingly severe storms in Vietnam. The country is among the world’s most vulnerable to climate change because of its long coastline and a population that relies primarily on agriculture. 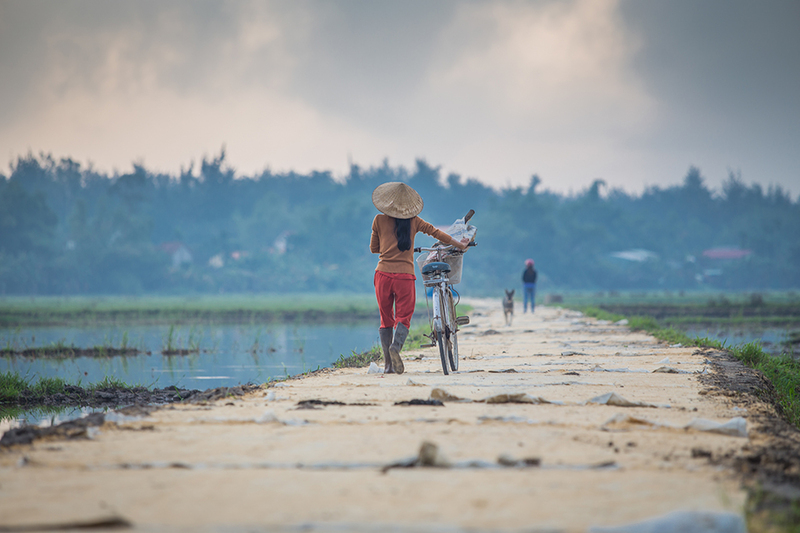 CRS has worked with local leaders and community members in central coastal and southern Mekong Delta communities since 2012 on a disaster risk reduction project. For villages like Con’s, this means not only identifying and addressing risks, but also establishing early warning systems and evacuation plans, building disaster-resistant housing and diversifying livelihoods. “We try to prepare, but sometimes it’s not enough. We are grateful for any support we get,” says Con.